Comments for consideration by the Task Force can be submitted through April 1, 2019. “Chronic pain affects an estimated 50 million U.S. adults, or 20%of the adult population. An estimated 19.6 million U.S. adults have experienced high-impact chronic pain, which the [Centers for Disease Control and Prevention; CDC]defines as pain occurring and interfering with life or work activities most days….This draft report offers a wide range of treatment modalities with a framework to allow for multidisciplinary, individualized patient-centered care,” noted Vanila M. Singh, MD, MACM,Task Force chair, and chief medical officer of the HHS Office of the Assistant Secretary for Health, in a press release accompanying the report’s publication. The report includes a discussion of the CDC Guideline for Prescribing Opioids for Chronic Pain, a document in which clinicians were advised to limit opioid doses in patients prescribed high doses to manage their chronic pain. The Task Force emphasized that the guideline was created to inform decision making for primary care providers and that legislators and organizations should not use it to mandate limits in opioid prescribing. Using non-opioid medications such as acetaminophen, nonsteroidal anti-inflammatory drugs, long-acting local anesthetics, and dexmedetomidine along with nonpharmacologic treatments as first-line therapy whenever possible. Providing naloxone co-prescription and education for patients receiving long-term opioids and their family members and increasing naloxone distribution programs and education for first responders. Minimizing barriers to access of restorative therapies demonstrated to be of benefit in chronic pain syndromes including occupational therapy, physical therapy, aqua therapy, transcutaneous electric nerve stimulation, and movement-based modalities such as tai chi, pilates, and yoga. Reducing the stigma associated with chronic pain and opioid use disorder through patient, clinician and societal education. For background on issues covered in the report, Clinical Pain Advisor spoke with Edwin Salsitz, MD, addiction medicine specialist in Mount Sinai Beth Israel’s division of chemical dependency in New York City. Clinical Pain Advisor: Advocates for patients with chronic pain and their physicians have expressed concern that prioritizing the prevention of opioid abuse has led to patients being left untreated for chronic pain. Has the pendulum swung too far? Dr Salsitz: The opioid pendulum is constantly swinging back and forth and it’s not easy to determine where the proper set point should be, but certainly after the last 15 years or so a correction was in order. As with all corrections, there were going to be —at least temporarily — some unintended consequences. Clinical Pain Advisor: What efforts can be made on a societal level to ensure that patients are adequately treated while also mitigating opioid-related risks? Dr Salsitz: This new report is very, very comprehensive and builds on previous guidelines like the CDC guidelines, which advise that there is a stepwise process for providers to follow. First, use a nonpharmacologic treatment for pain — there are many evidence-based options such as physical therapy, massage,mindfulness, acupuncture — then go on to non-opioid pharmacotherapy, and then to opioid pharmacotherapy, which would be the third and last resort. That’s one way to limit the problem. Also, all guidelines now recommend checking the available prescription drug monitoring programs and doing some sort of drug testing in patients on a periodic basis.Providers should also pay attention to any behaviors that point to an opioid use disorder. Clinical Pain Advisor: How can clinicians strike the right balance, especially in patients with chronic pain who are at risk for opioid use disorder? Dr Salsitz: There are other modalities to treat pain, including the interventional and the non-pharmacologic approaches I mentioned previously. I also think that perhaps the culture in the United States has to change, so that people with chronic pain understand that their pain will rarely be at zero and stay at zero all the time. Clinical Pain Advisor: The report addresses stigma as a barrier to appropriate care in terms of both opioid use disorder and chronic pain. Dr Salsitz: Certainly in the addiction field, stigma is a major problem and a major barrier to effective treatments and effective discussions about addiction. However, with the opioid epidemic that has been going on for quite a while, I think the stigma has lessened a bit, because it’s getting to the point where almost everyone knows someone who has had a problem with opioids. That has led to a decrease in the level of stigma, but it is still quite significant. Many people are ashamed that they have this problem. They think it’s all voluntary and under their control; they don’t understand that it is a disease like any other disease. They can help with treatment, but they’re not responsible for needing treatment in the first place. Some patients with chronic pain also feel the stigma, believing that they’re not as functional as they should be. They feel they are not participating with family and friends and in their jobs as they should be, and feel stigmatized because of that. Patients may also feel stigmatized in the healthcare environment when they encounter healthcare providers who don’t acknowledge that they do have chronic pain and that the pain is real physical pain that needs to be addressed one way or another. Draft Report on PainManagement Best Practices. 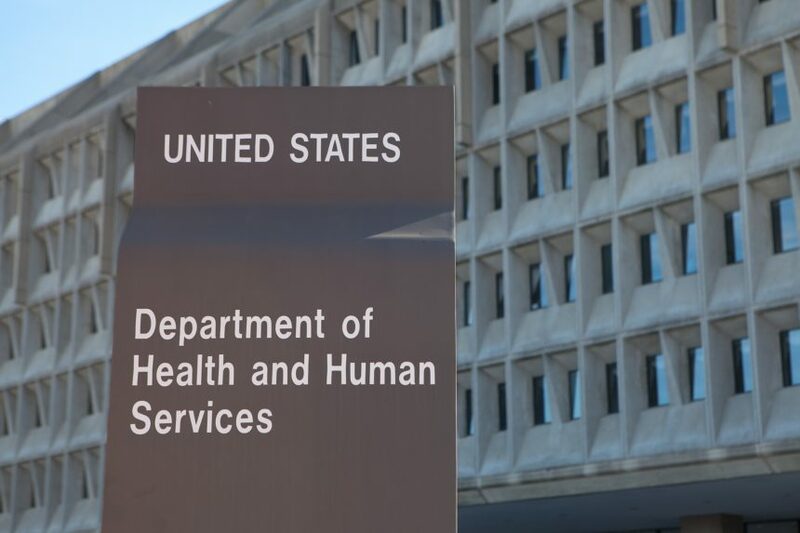 US Department of Health and Human Services. HHS.gov. www.hhs.gov/ash/advisory-committees/pain/reports/2018-12-draft-report-on-updates-gaps-inconsistencies-recommendations/index.html.Published December 13, 2018. AccessedMarch 4, 2019. 2. Requestfor Public Comments on the Pain Management Best Practices Inter-Agency TaskForce Draft Report on Pain Management Best Practices: Updates, Gaps,Inconsistencies, and Recommendations. US Federal Register.www.federalregister.gov/documents/2018/12/31/2018-28403/request-for-public-comments-on-the-pain-management-best-practices-inter-agency-task-force-draft.Published December 31, 2018. Accessed March 4, 2019.